To keep your fan running trouble free, it helps to keep the blades clean. 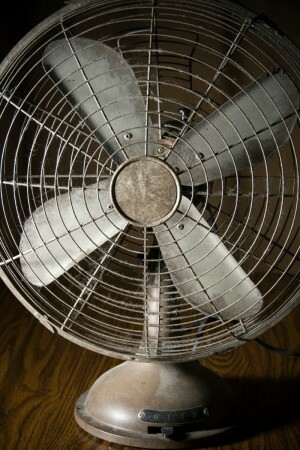 This is a guide about cleaning an electric fan. 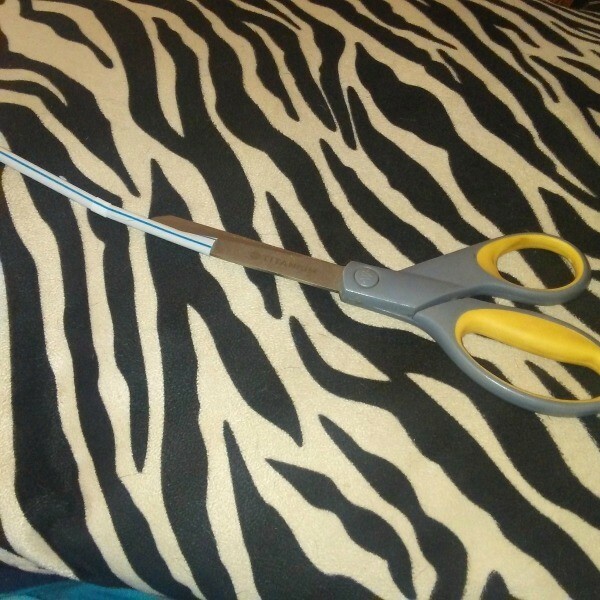 We use fans at our house, and I needed something to be able to help keep them in optimum condition. 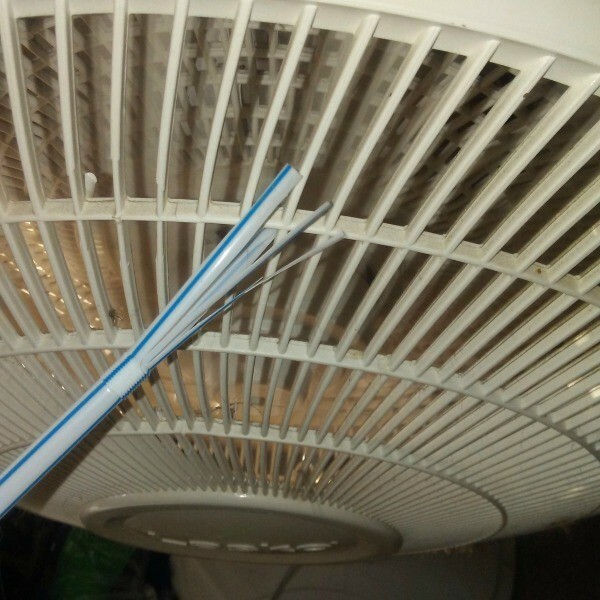 I made a stiff little brush out of a drinking straw, and now I can use that brush to keep debris from the front and especially the back of the fans. 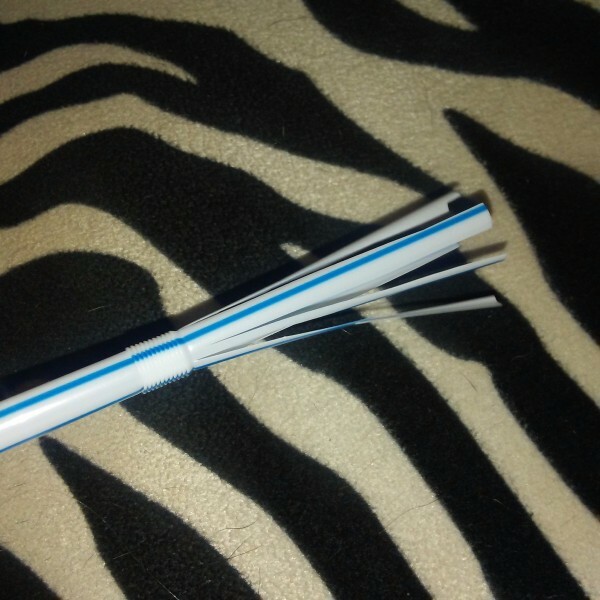 Source: I have a lot of straws for crafts. I let this fan go for far too long before cleaning. See how it collects dust because it runs all the time? I unplugged the fan and took the cover off of the fan. I wiped them down with a damp paper towel and then washed with a bar of bath soap, then rinsed this off with the shower head over the tub. I then turned the rotor knob (the knob right in the mode of the rotors that holds the rotor to the fan) counterclockwise. I washed the plastic rotors, by themselves, in the tub, too. I found a lot of hair trapped behind the rotors after I took them off. There was also a bunch of junk sticking out the back vents so I just blew that out since I did not have canned air to spray them out with. I dried everything off and put back the rotors and put on the knob to hold it in place. Then I latched the metal cover back on. It feels like a brand new fan. 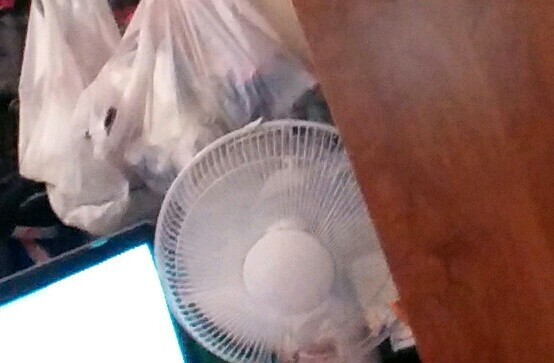 I have a circular fan that works really good when the grates are unblocked. Normally I take the grates off the box fans and clean them with soap and water and then dry them and put them back on. 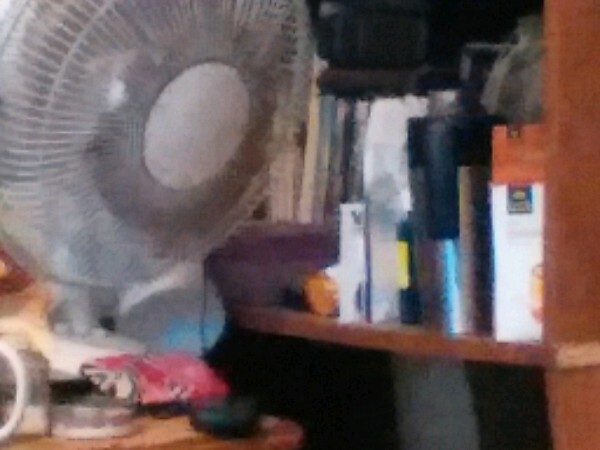 This fan is not like the box fans, and the grates cannot be taken off, or at least I have not found a way yet. I tried everything to get debris and hair and such out of the grates, and the only thing that works, for me, is to use a wire dog brush to get the dust and debris in the grates. Now the fan works great. I was so happy to find that this was successful, since I had tried everything from toothbrushes to wet cloths. Everyone enjoy your summer of 2017 and try to stay cool! I use a small, oscillating fan in my kitchen and it seems that overtime the cover gathers a greasy film with dust attached! 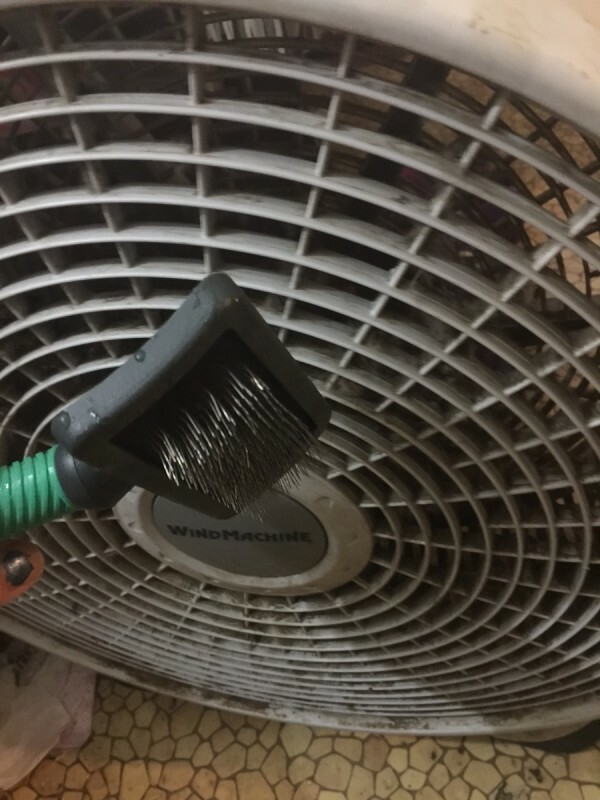 To quickly and safely clean this off, I unplug the fan and remove the cover. I take the cover outside and spray it with FUME FREE oven cleaner. After it sets for a few minutes I then spray it off with the water hose. It takes every bit of the grease and dust off without me having to scrub. A cheaper alternative to oven cleaner is ammonia. It will cut through grease and dirt like you wouldn't believe! I keep a spray bottle of about 1/4 cup ammonia to a quart of water handy at all times. It cleans practically anything - and for pennies!